The day has finally come. 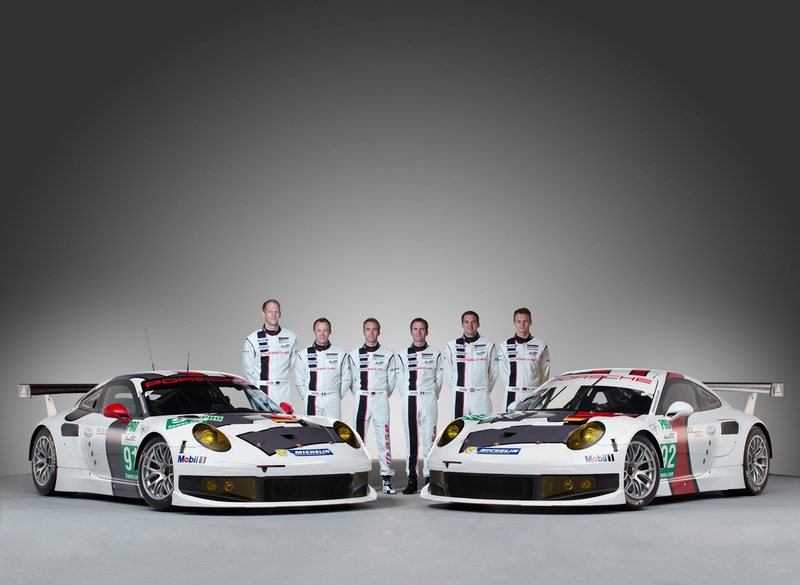 Porsche are back at Le Mans after 16 years absence. I know, I know, the 911's are a staple of the GT class, but I'm talking of course about the LMP1 racers. Those magnificent machines that have moved into a new generation of competition with the introduction of allowing hybrid LMP1 cars in the past few years. First it was diesel, with Audi winning the 2006 24 Hours of Le Mans with the iconic R10, then Audi also snatched the first win with a KERS equipped vehicle, with its stunning R18 e-tron. Audi have a spectacular record at Le Mans, having be been truly dominant since 2000 with 12 wins out of 14 races. There's one marque that bests their efforts though, and that is Porsche. 16 wins in total give them the title of most successful manufacturer in the race's storied history. Clearly they had been watching Audi dominate and creep closer to their record, before someone gave the blokes in accounting a warning that a new project was in the works and it would be expensive. That project resulted in the stunning 919 Hybrid shown in the album, and on its shoulders rest the hopes of Porsche racing fans worldwide. Audi were delighted to receive some more competition in this years race, so they drove around to Porsche to wish them well personally. Love it. It’s certainly brewing up to be a pretty phenomenal race in terms of the battle at the front. The two four-hour sessions were bloody crucial for us in terms of track time and we pretty much nailed it with both cars. We completed more than 100 laps with each car, so that was a big box ticked, because we’re so low on experience going into the race. If you guys haven't really gotten into Le Mans before, this year is a great opportunity to see what it's all about. I feel like it is the most demanding race (outside of the Dakar) in the world, asking so much of the cars and drivers to sustain the focus and performance required to win. The sustained full-throttle loads required for 70 per cent of each lap and the ‘heave anchor’ braking zones at Mulsanne Corner and Arnage, racing all through the night, the pressure of so much investment and development of the cars for this one glorious 24 hour spectacle... it's a big day on the calendar for racing fans. If you are still with me, the XCAR team have created a comprehensive look back at the history of Porsche at Le Mans and it's pretty good stuff if you feel like brushing up before the race starts.